On its own, the Moto Z is but a thin, well-designed flagship smartphone. But with Moto Mods, it has become something more than just that. These optional modules bring new, forward-thinking features to an aging device to keep it interesting as time goes on. And although it’s a brilliant concept and executed way better than LG’s Friends campaign could dream of, there’s a bit of a problem. And it started to show itself with the Moto G5. Currently, the company is only serving these extra features to customers who have a considerable amount of expendable income. But as the idea behind modules is to enrich and empower people with the freedom of choice, the Moto G5 seemed to be the perfect place to expand. But, as you know, that didn’t happen, so I sat down with Dan Dery, the vice president of Lenovo’s mobile business group to discuss why the company didn’t make the move. “You’re telling me I have not, yet I haven’t said no to it,” Dery retorted. So, is the Moto G5 too “low” in terms of performance, as Dery stated? While it definitely isn’t as powerful as the Moto Z (or even close, for that matter) it isn’t a pushover. It feels that, at this stage, Moto’s budget line would be a perfect fit for mods. But, his answer indicates that there’s more to the story. 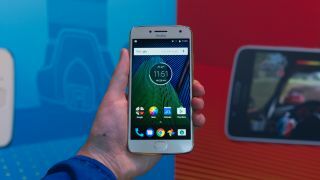 It seems as if Moto still has mods on the mind for its affordable, highly acclaimed lineup in the future, though that day hasn’t come yet. And honestly, it feels like a bit of a missed opportunity to steal the show at MWC 2017. But those disappointed have to appreciate that Moto isn’t forcing it. If anything, this year’s Moto G seems to be the phone that is tying its budget and premium devices together. Maybe after another year, possibly at MWC 2018 or before, we’ll see Moto’s full suite of ambitious feature-expanding mods working on a phone that won’t cost you as much as the Moto Z.